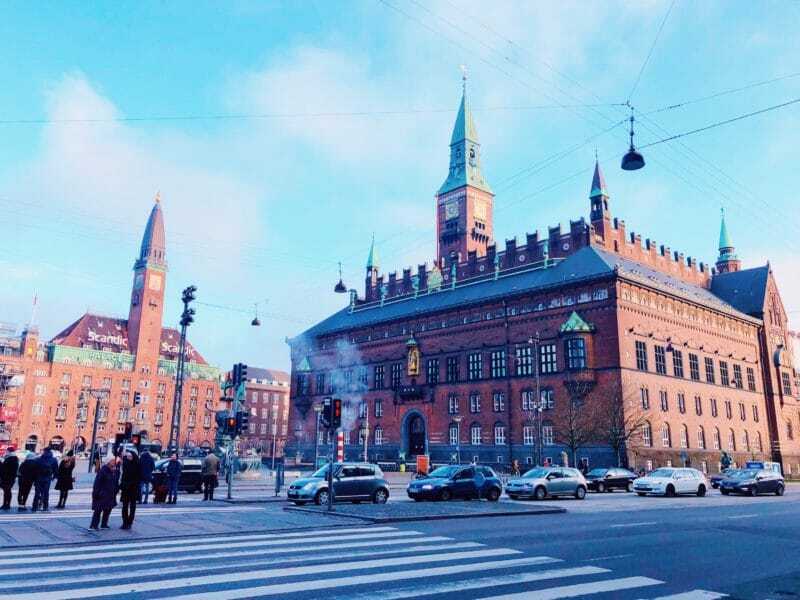 I have been in Copenhagen this past week for work, and as it was a first time visit I wanted to try and see some of the city as well as the inside of an office. With direct flights from Newcastle only available in the summer, I had to travel via Amsterdam, with a very early start on the Sunday. 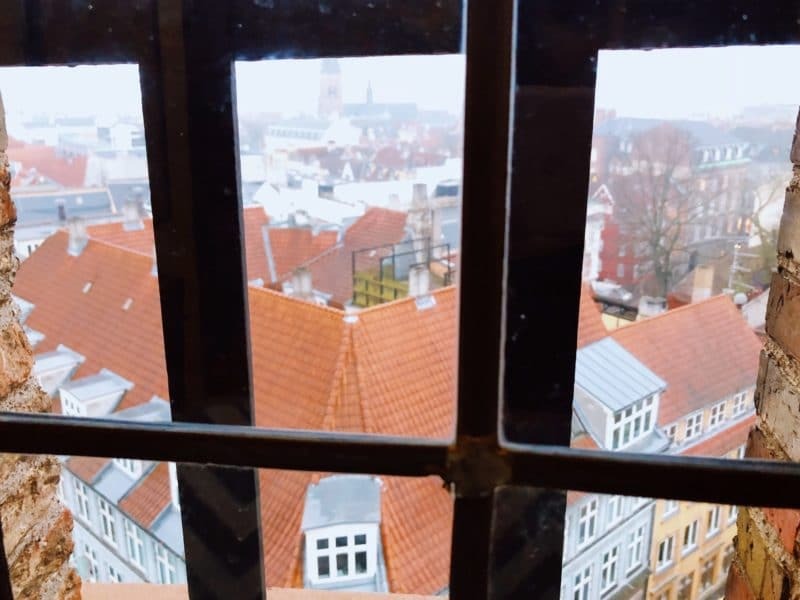 This meant that once I arrived in the Danish capital I had the day to explore. 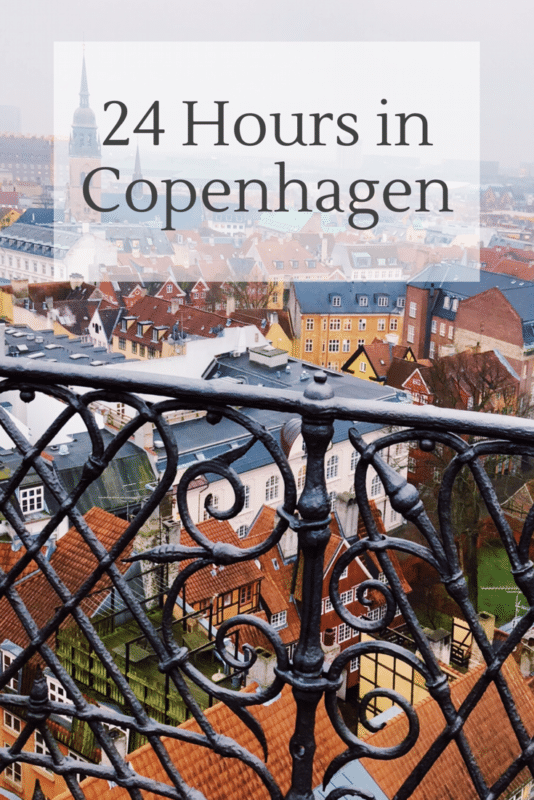 Here’s some ideas of what to see and do if you only have 24 hours in Copenhagen. A pretty good place to come across first, and like most European cities the square and city hall is right in the centre. The building itself has a 106m tall tower, which you can go up for a fee with a tour guide. The rest of the building is free for public access. It is one of the tallest buildings in an otherwise very flat city, and offers panoramic views. I chose not to go up, as I had my sights set on another tall tower to climb. 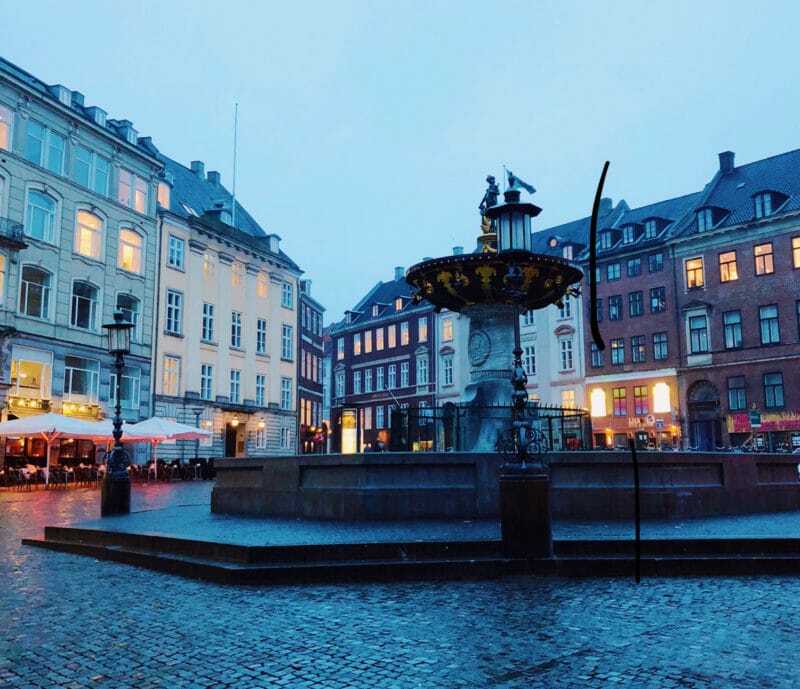 Next to City Hall is a giant statue of the famous writer and poet – Hans Christian Anderson. 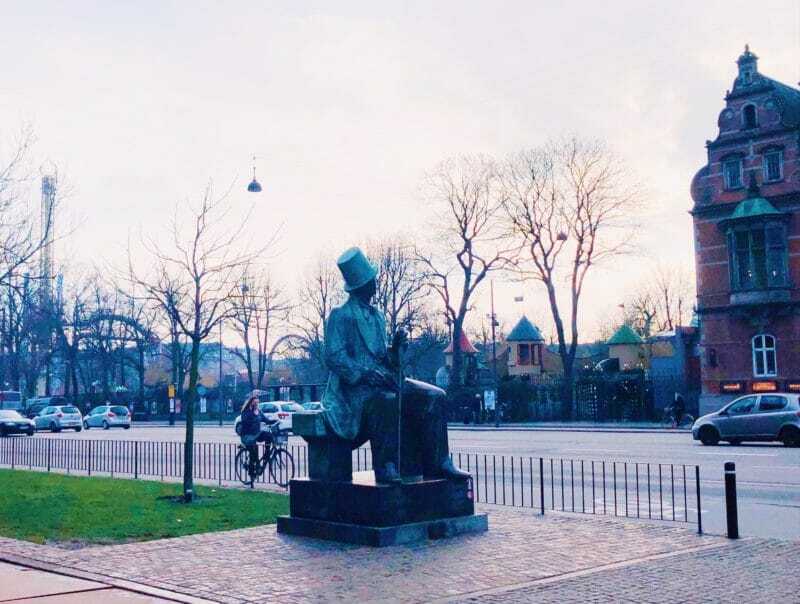 Known for his fairytales and poems he sits next to City Hall looking across the road at Tivoli. 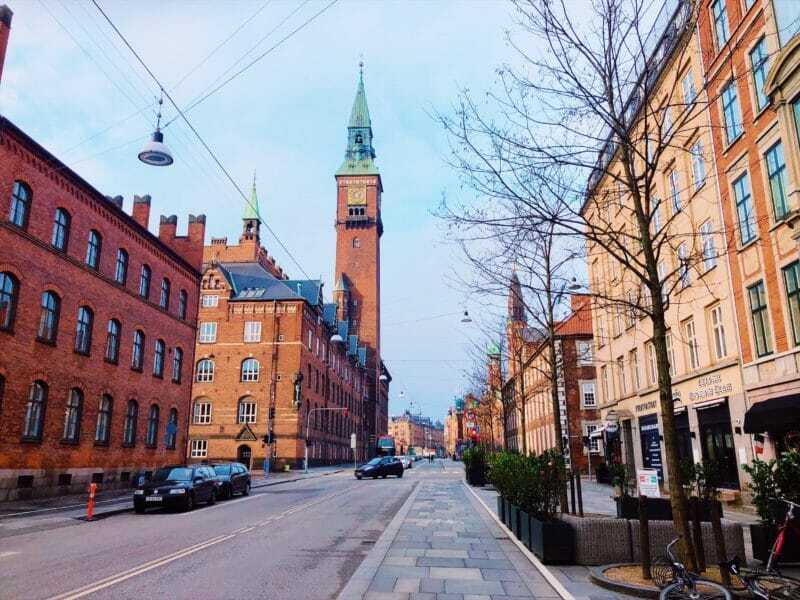 From City Hall I walked along Radhuspladsen, and Vester Volgade before turning up Stormgade, which runs alongside the National Museum of Denmark. 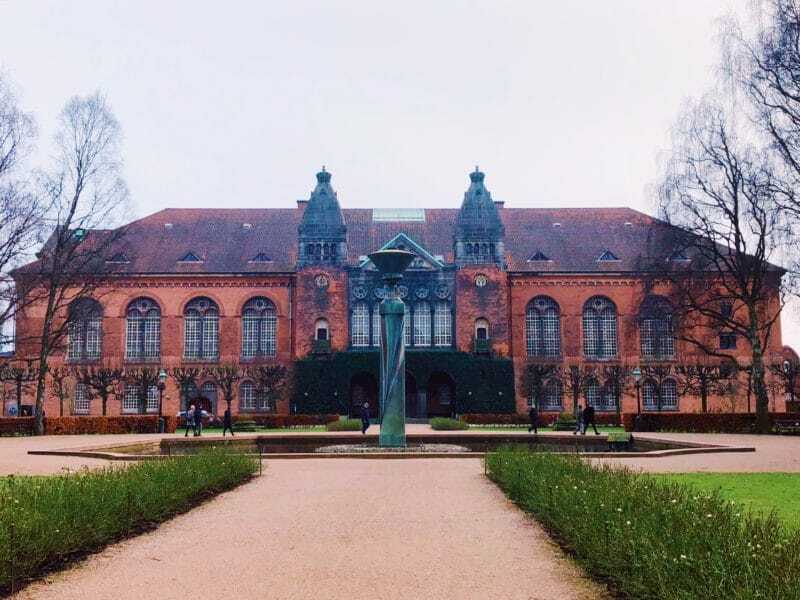 The huge renaissance building houses the national collection of cultural treasures, historic pieces and artwork, as well as exhibitions from other countries. It is open every day except Mondays, and costs DDK 85. Children under 18 go free, and there are family tickets available too. 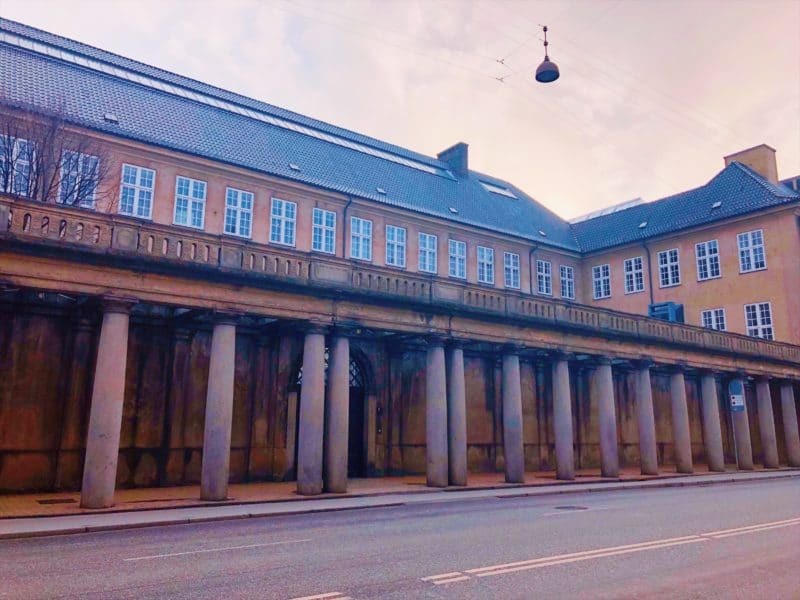 Located on a small city centre island is Christiansborg Palace. 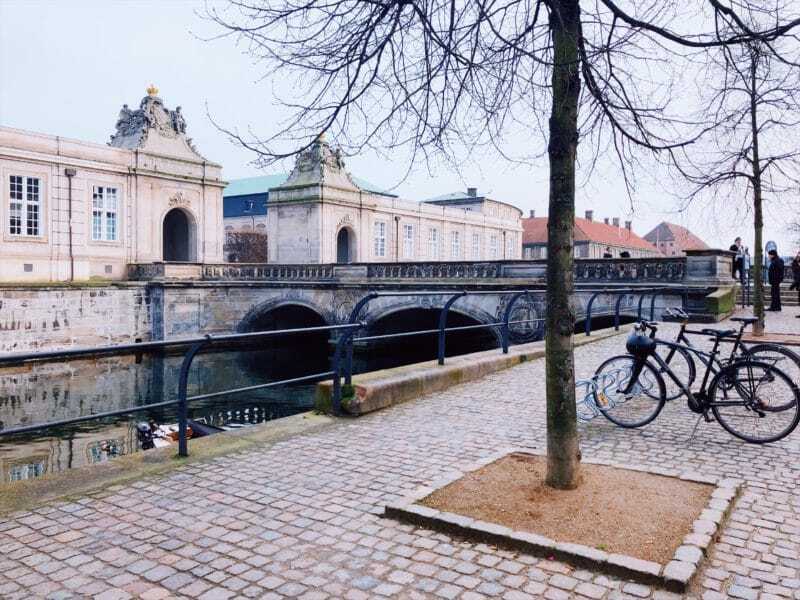 Cross the small bridge and canal opposite the National Museum, and the impressive palace and riding grounds are sprawled out ahead of you. 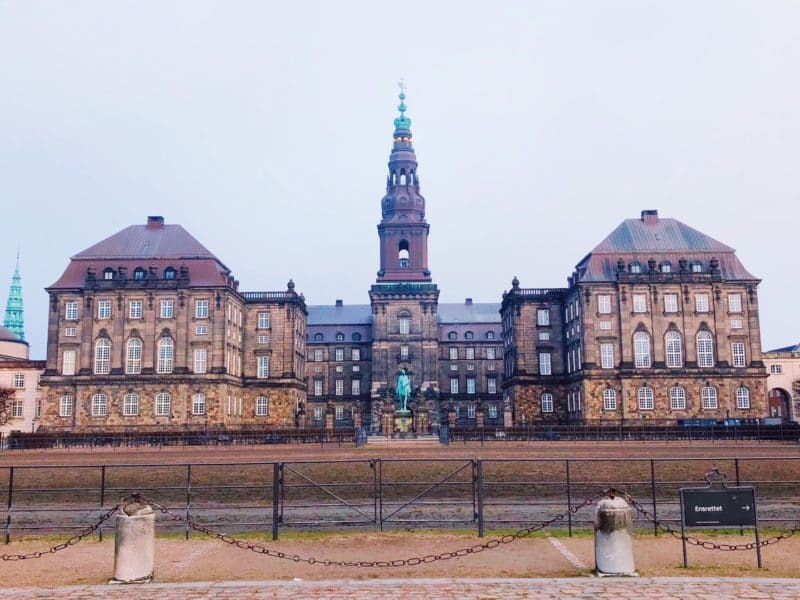 It hosts the Danish parliament, and the supreme court, as well as being used for state events for the Danish Royal Family. 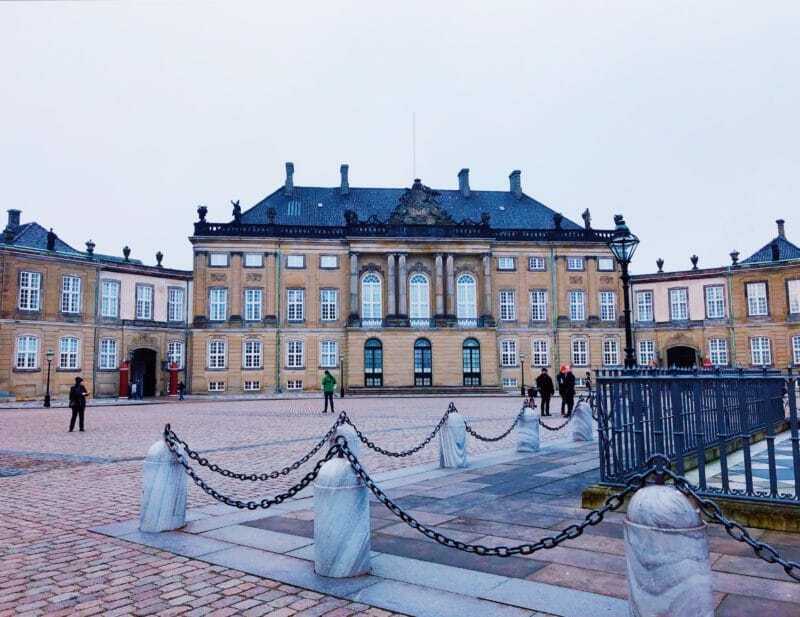 Inside the building is the Oval Throne Room, where the Royal Family receive guests on state visits, and it also leads to the balcony. I walked around the outside of the riding grounds and passed the Palace. Through the archways to the left of the palace as you look at it, you can see the landscaped gardens and courtyard of the old National Library of Denmark. 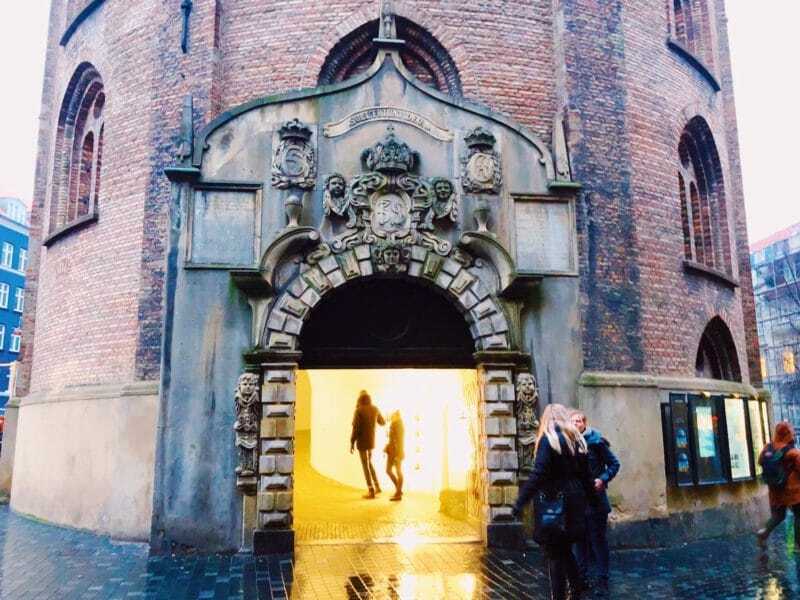 Other things to see on the island before you come out the other side include the Theatre Museum, the Royal Danish Naval museum and Borsen. 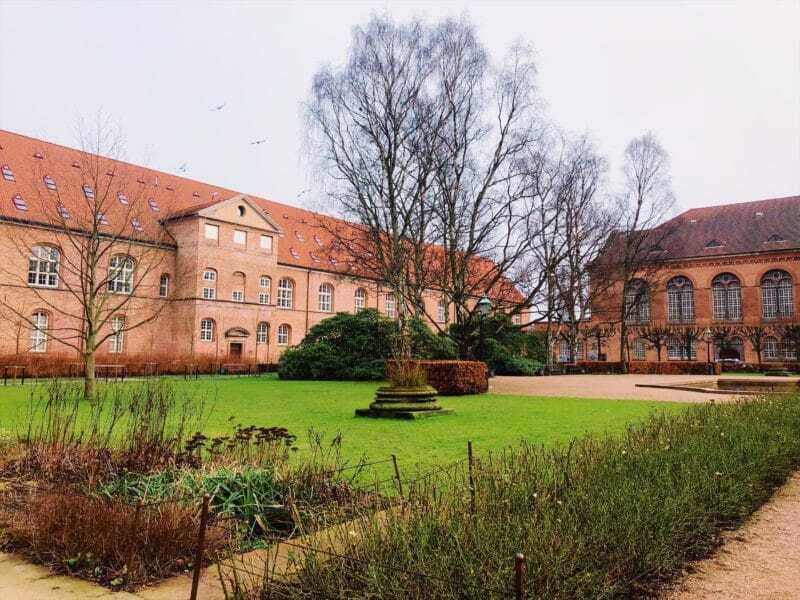 King Christian IV had the very unique looking Borsen building built in 1640, to impress visitors of Denmark. It was the nations Stock Exchange building, and is recogniseable by the sharp spire. 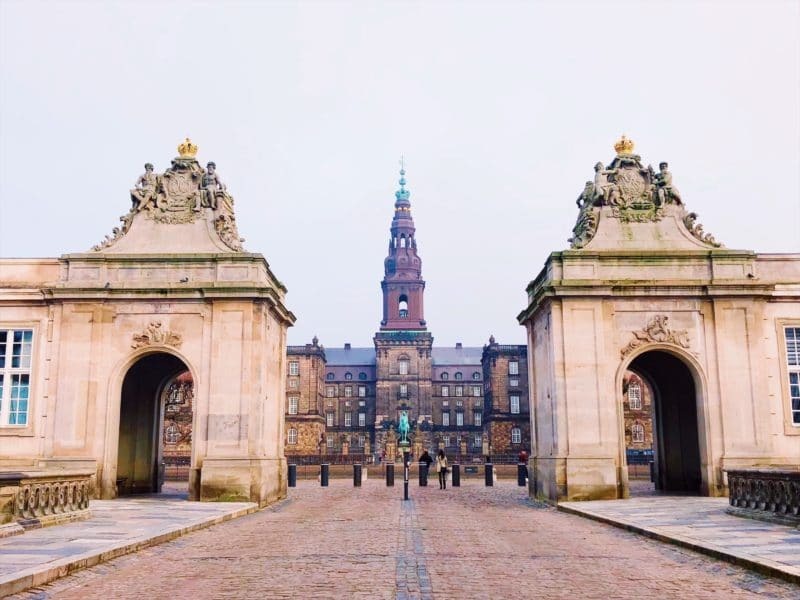 As you walk on from Christiansborg Palace, you will pass it on the right. 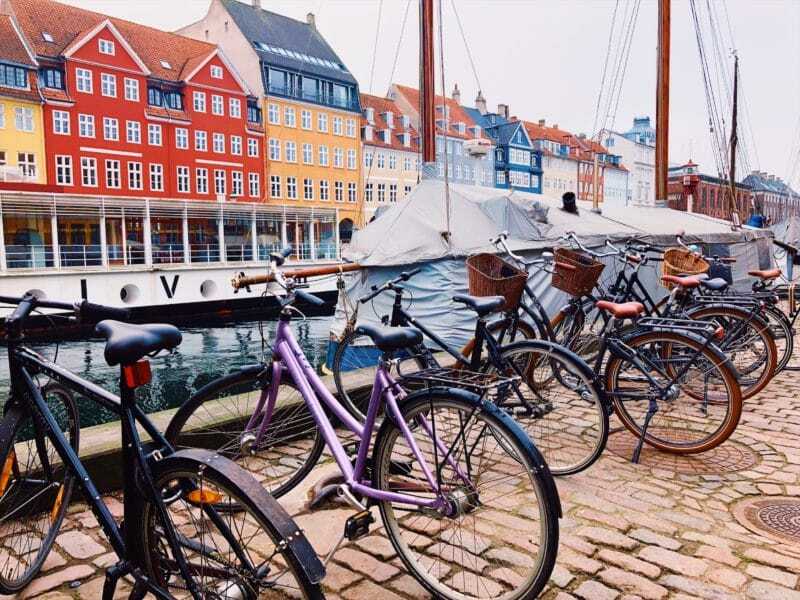 This was the area I was most looking forward to seeing, Nyhavn port. 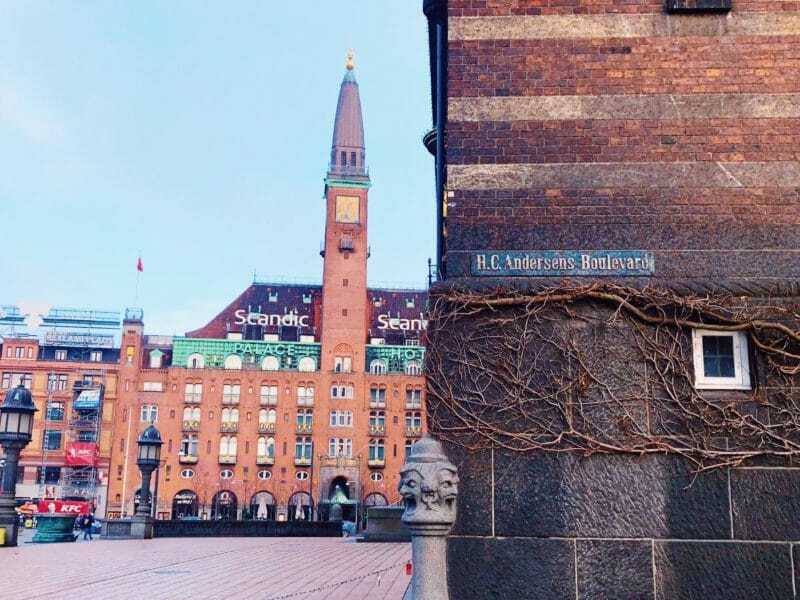 Still lined with the ancient buildings from many years ago, the port is one of the most iconic parts of Copenhagen. It was a very cute area, lined with brightly coloured houses, bars and cafes, and old sailing boats were moored up in front. 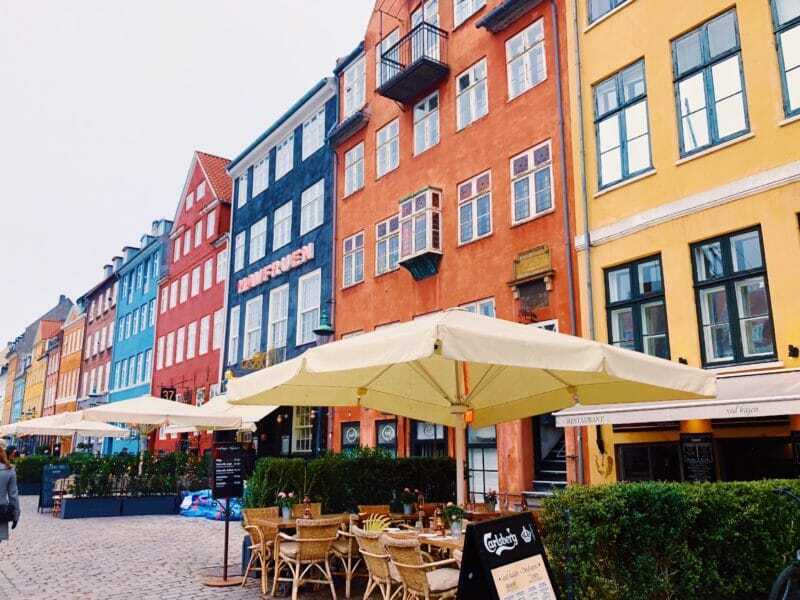 Hans Christian Anderson lived at three of the houses here, but for visitors today you’ll want to stop for a rest at one of the quaint looking cafes. Ranging from some nicer restaurants, to bars and casual cafes there’s something for everyone. Naturally they’re more expensive, being such a busy tourist area. I went into a little waffle and ice cream cafe on the corner, that I’m pretty sure will be bustling out onto the street in summer. 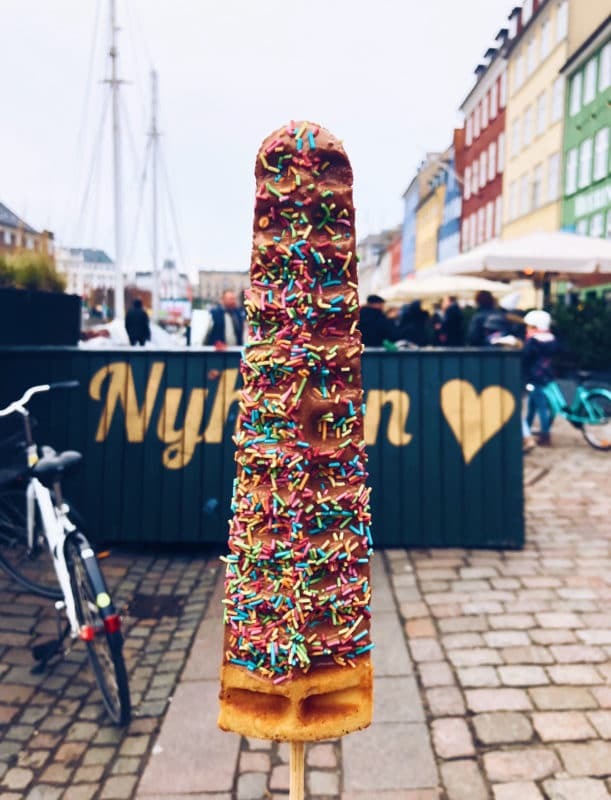 With it being minus 1, I got a hot waffle dipped in milk chocolate and covered in sprinkles. Just keep an eye out for the pigeons, they aren’t shy at trying to grab a bite! 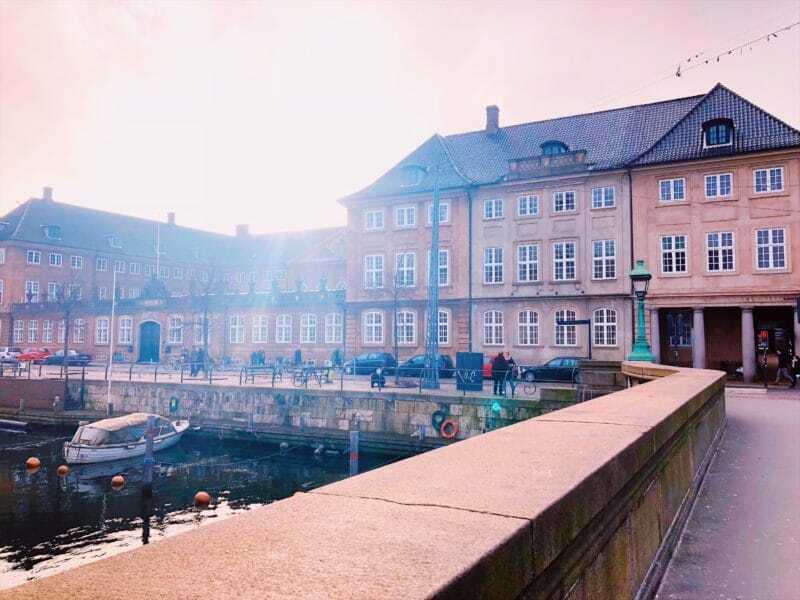 From Nyhavn I moved on to find Amalienborg, which is the Danish Queen’s winter residence. 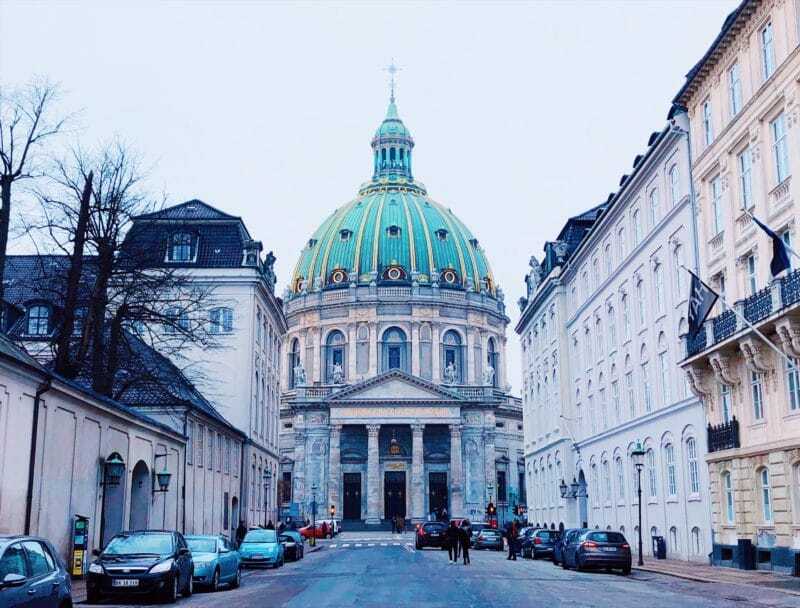 On the way there, I walked along some gorgeous grand looking streets, and came across Frederik’s Church, also known as the Marble Church. It’s huge, and one of the prettiest in the city. The giant green dome is different to most other spires in the city, which are more sharp and pointed. 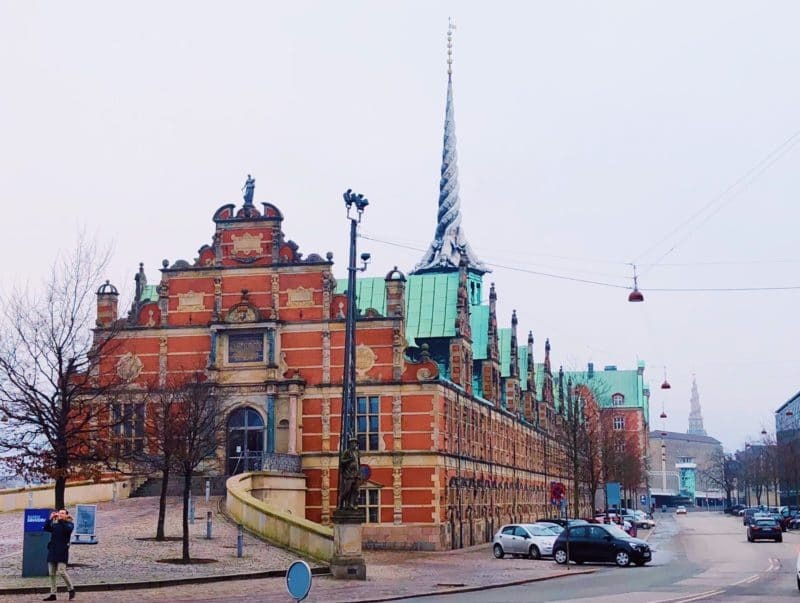 The church sits directly opposite Amalienborg, which makes a very pretty picture when looking back. 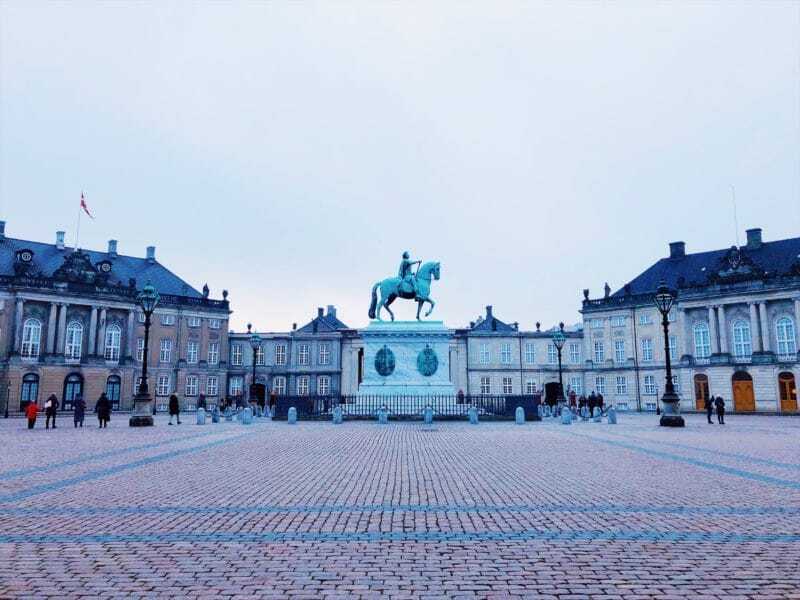 The Queen’s winter residence is an enormous grand palace, made up of four separate buildings that surround a central courtyard. They surround the giant statue in the middle, and each one has guards that patrol the area, and you can see them change at midday. It’s actually quite similar to London and Buckingham Palace. 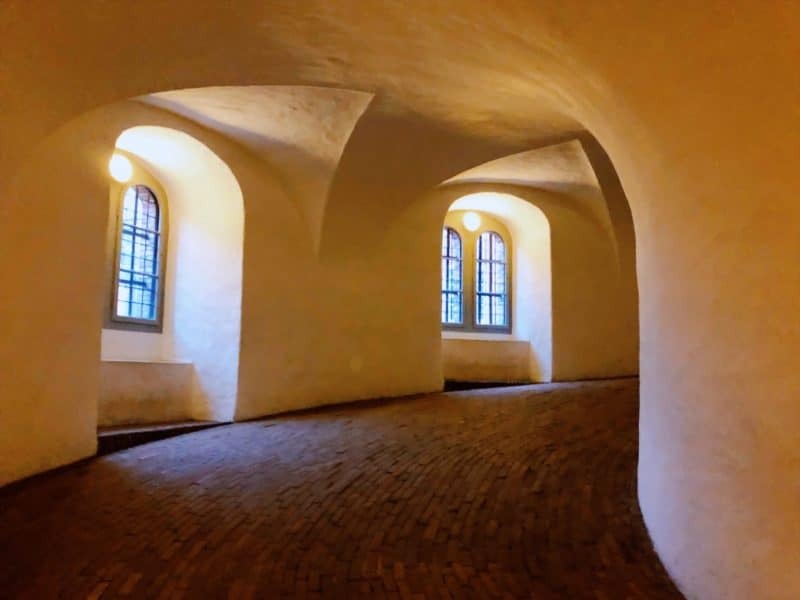 You can enter two of the buildings which are now museums, to get a glimpse of the old royal chambers and artifacts. 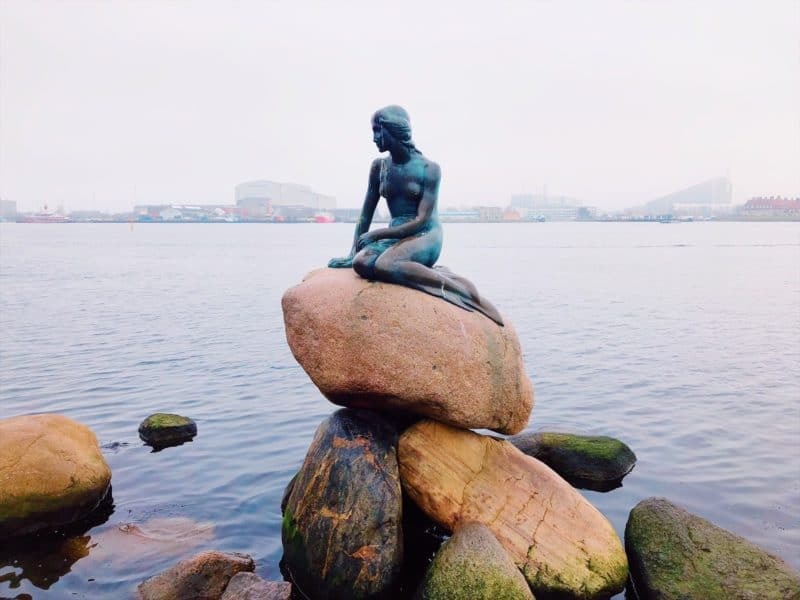 From Amalienborg it is a twenty minute walk further up the city to The Little Mermaid Statue of Copenhagen. I was pretty tired from a lot of walking at this point but I thought I couldn’t really not pay her a visit, she is voted the second most underwhelming tourist attraction in the world. Located on the coast it was a cold and grey walk to find her, and she is quite underwhelming! I liked her though, sat perched on her rock welcoming visitors. She is over 100 years old, and was given to the city by a brewer called Carl Jacobsen. He was inspired by the mermaid character of Hans Christian Anderson’s fairytale, and commissioned her to be created by Edvard Eriksen. 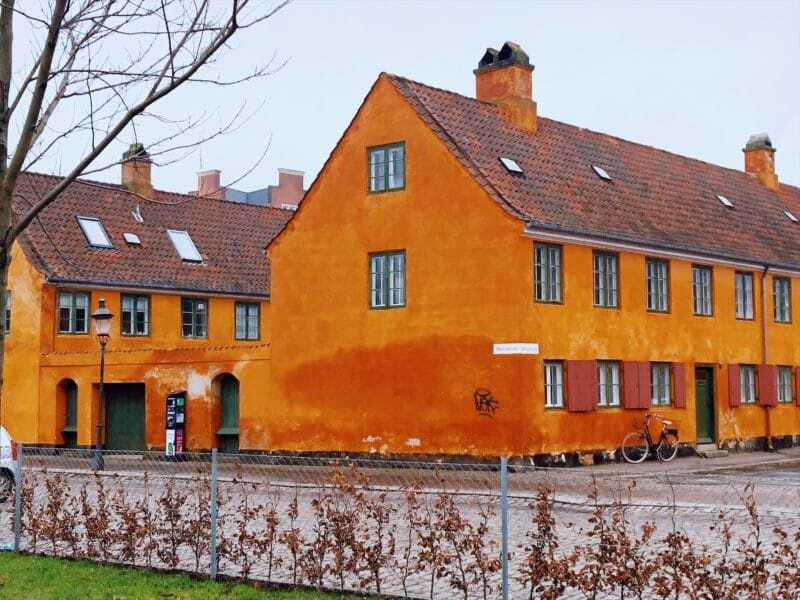 Nyboder – in the centre of the city are rows and rows of residential burnt orange houses. 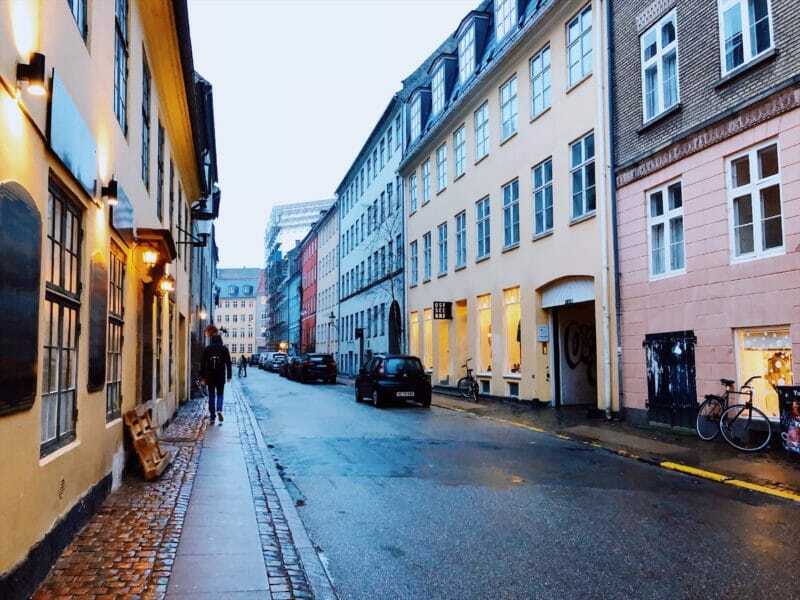 They look so old fashioned with flaky paint and window shutters, and in the evening light of January the streets really reminded me of the Shelby’s home town in Peaky Blinders. They were built for the sailors of the city and their families many years ago. 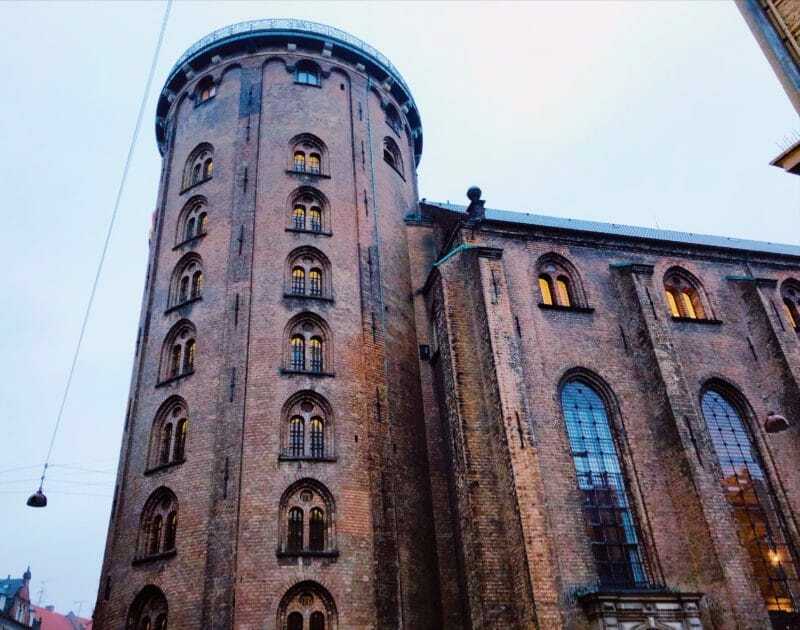 The ancient ‘Round Tower’ of Copenhagen is located right in the city centre, and was built in the 17th Century. The purpose was to combine a church, library and observatory into one tower. It costs a small amount to enter, but you follow the wooden ramp round and round to the top. There are tiny windows all the way around, giving small snapshots of what the view holds once you get to the top. 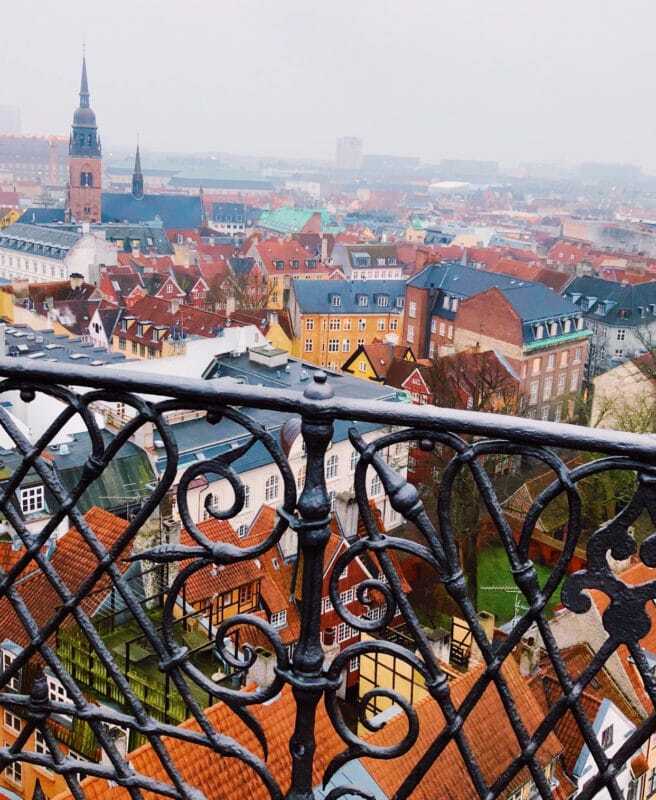 The final part of the walk to the top is a tiny narrow staircase, from which you emerge to stunning views over the city of Copenhagen. The 360 degree views are explained with plaques on the fence, which details each iconic spire and tower that you can see on the horizon. It was a beautiful view even on a freezing cold, mid January evening. The observatory at the top is still in use today, although the technology has changed a bit from the old equipment that you can see in display cabinets. The walking route that I did took me around all the main sights, but not in any real detail. I didn’t go into any of the palaces or the museums, the Round Tower was the only one. It was great to see some of these recognisable tourist attractions, but I’d love to spend more time in the city that totally surprised me, and see some of them in more detail. 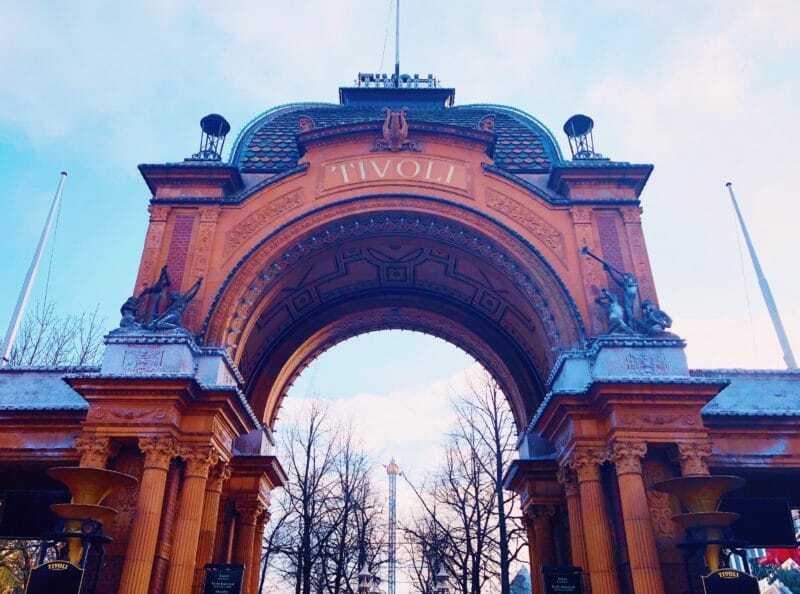 Tivoli – the old theme park and gardens right in the centre of the city. Everyone says it’s fabulous but sadly it was closed for the winter break. Hopefully I’ll get to go later in the year. Christiana – the ‘freetown’, full of colourful buildings and hippie shacks. 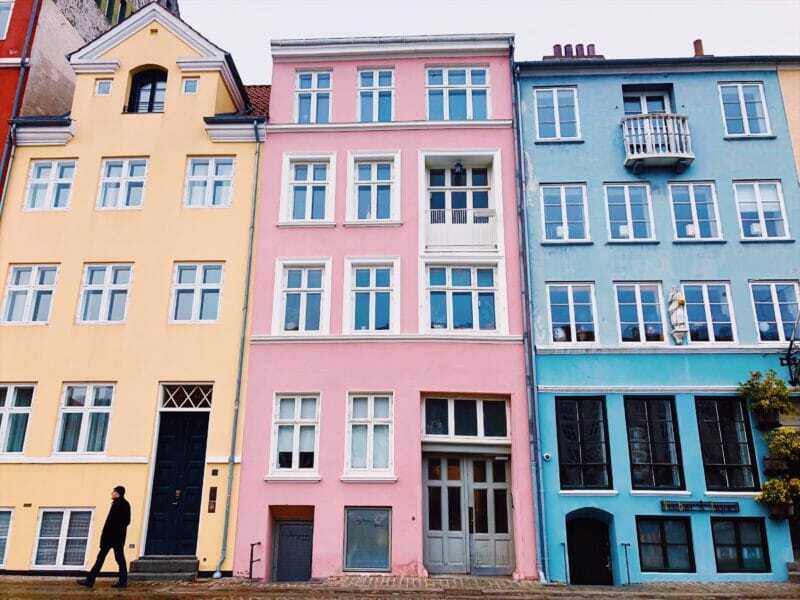 Hans Christian Anderson house – where the fairytale novelist lived and worked. I was going to go into more detail about some of the places that I’ve ate at over the past four days, but I think that’s a post for another time, so that will be coming soon. I’ve never really thought about visiting but it looks beautiful, the buildings are gorgeous! Why was the Little Mermaid underwhelming? Was she smaller than you expected? Love this type of post. One of my. Goals for this year is to do more weekend trips!! Nice post! I’m hoping to get there next year, so I’ll definitely save this for my list of stuff to see when I get there! 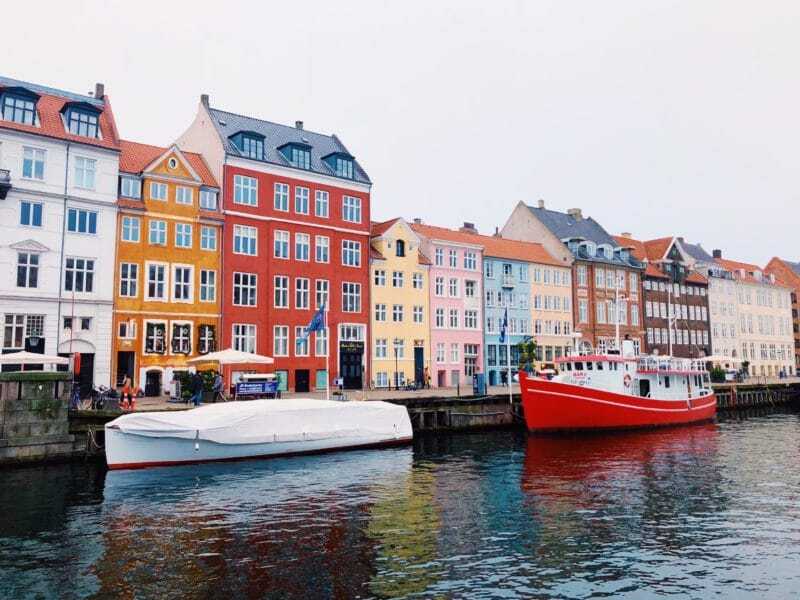 Copenhagen looks great! Definitely one to add to the bucket list!